I love this infographic! So complete. So easy to understand. So visual. 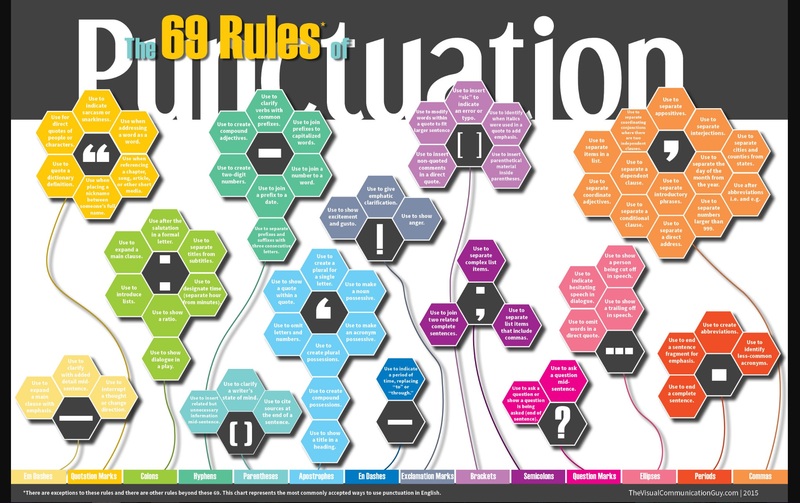 The 69 Rules of Punctuation is one of—well, I don’t really know how many—Curtis Newbold’s great creations found at his website, The Visual Communication Guy. Click on the image to zoom in and read it. Polls for Writers – Results!